Explore the depths of the Canadian Rockies by adventuring into the limestone cave on Grotto Mountain with tours offered by Banff Travel. Highly trained and experienced guides will lead you through thousands of years of history told by the carved limestone. Discover deep caverns, ancient fossils, and mineral formations through the guided treks in the cave. The adventure tour offers a rappel experience from an 18m (60ft) drop that allows participants to traverse through narrow passageways. The explorer tour offers a similar itinerary without the rappel. 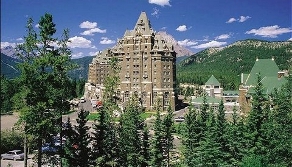 Banff Travel suggests that participants should be physically active and wear light shoes with moderately warm clothing. Make sure to bring a water bottle and a camera to document your adventure.